Situated in the bio-diverse Timbavati Nature Reserve, Kings Camp is a prime safari destination capturing all the charm and romance of a bygone age. Nine spacious suites, and two honeymoon suites with pools, have air-conditioning, luxurious bathroom, indoor and outdoor shower, mini-bar and private verandah. Camp facilities include an inviting bar-lounge, a gym, massage and treatment tsala, library with DSTV, wireless internet, and pooldeck overlooking an active waterhole. 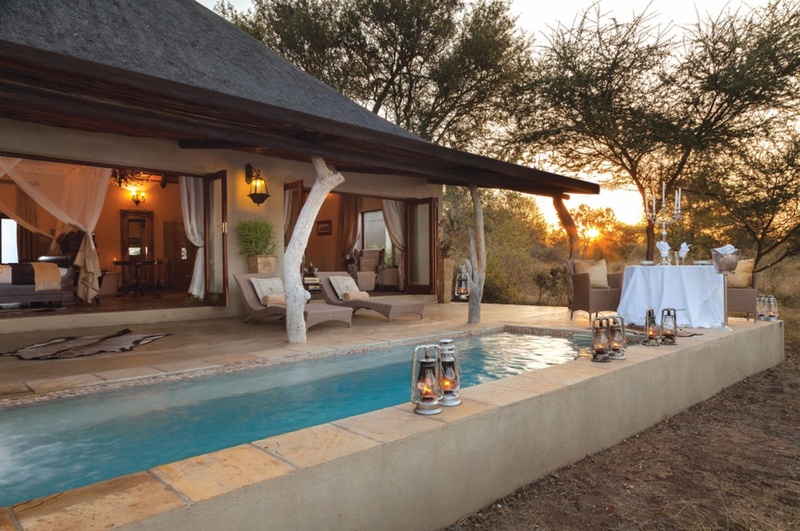 Waterbuck Private Camp provides a supremely private safari in a four-bedroom private villa, with its own game viewing vehicle, game ranger, chef and butler. There's currently no specials at Kings Camp. Luxury accommodation. Three meals daily. Tea & Coffee. Two game drives per day. Optional walking safaris. All beverages excluding premium brands, wines from our wine cellar and champagne. Conferences are hosted in the library for up to 22 people, with the following facilities available: computer, printer, limited wi-fi, photocopier, screen and stationery.